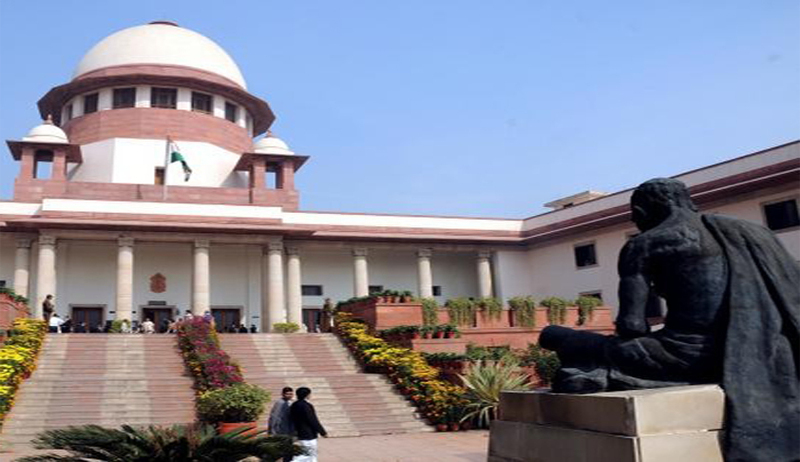 A Supreme Court of India Bench comprising Justice Dipak Misra and Justice P.C. Pant has admitted a Writ Petition against the 2014 Delhi Judicial Service Examination, filed by the Centre for Public Interest Litigation, through Advocate Prashant Bhushan. The Court however refused to grant a stay on the selection process because the District Judge interviews are due to happen in two days from today. The Court however made the final results of the selection process subject to the outcome of the Writ. The Petitioners have challenged the entire selection process and evaluation method adopted in Main (Written) Examination of Delhi Judicial Service, 2014 (DJS) on the grounds of being unreasonable, arbitrary and hence, in violation of Article 14 of the Constitution. It notes that the Delhi High Court, on May 28, 2015, in an RTI reply has admitted that no “set criteria” and no “model answers” were provided to the examiners for the exam. “When there are no uniform criteria for checking, there is possibility that the selection is done on the basis of non-standardized and non-uniform understanding of each and every examiner,” the Petition says. This was despite the fact that at least 65 candidates, who appeared for the Main Exam but not selected for the interview, are those who have already cleared judicial examinations of other States like Uttar Pradesh, Himachal Pradesh, Haryana, Jharkhand, Orissa, Punjab, Rajasthan Uttarakhand, Madhya Pradesh, Gujarat, and most of them are sitting judges in their respective states. They have hence sought quashing of the results and re-evaluation of the all papers of the Main Examination by an independent committee of the experts preferably headed by some retired Judge of the High Court. It further contends that there is a need of adopting uniform selection procedures for appointing judicial officers through an independent Judicial Service Commission. “In a selection system where the High Court itself conducts the examinations for selection of the judicial officers, the possibility of conflict of interest or even allegation of bias cannot be ruled out,” it reasons.